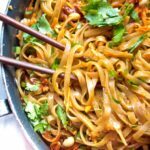 15 Minute Garlic Fried Noodles: In only 15 minutes, and a lot of garlic, you can make this delicious Asian inspired side dish! I repeat. 15 minute Garlic Fried Noodles. This is the easiest side noodle eveerrrr. AND it’s only 6 ingredients? Yup. The most ‘technical’ part? Making sure you don’t over cook the rice noodles. 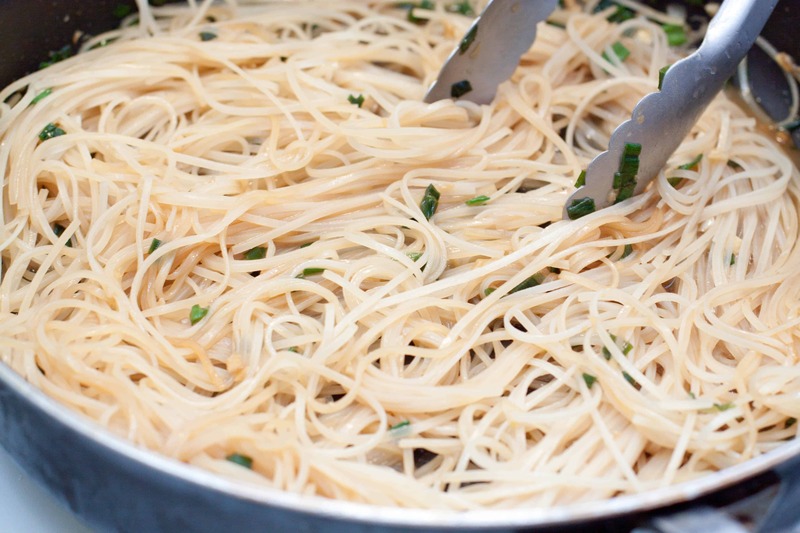 And rice noodles are not like pasta noodles – don’t boil them! Just heat about 6 cups of water to almost boiling (I use our stove top kettle), then pour the water over the noodles, making sure they’re completely submerged. Then let them soak for about 4 minutes until they’re al dente, not completely cooked. and by that time your noodles will be ready to be drained and added to the pan. 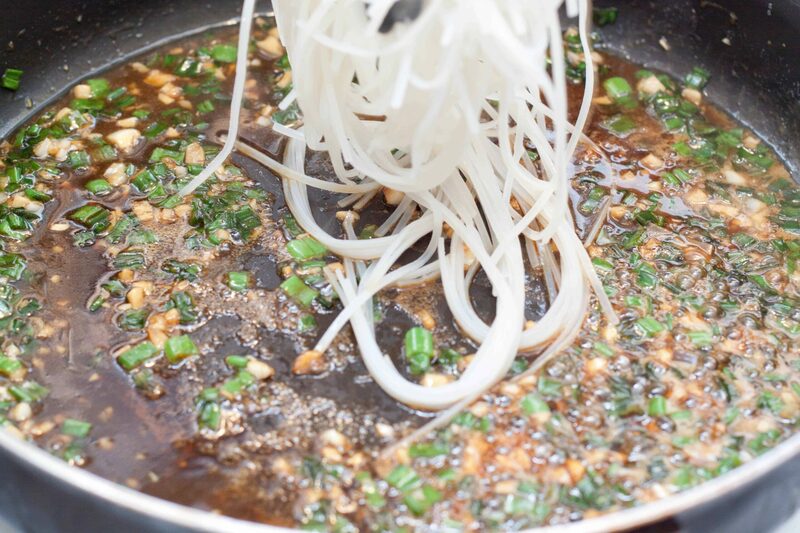 Stir those bad boys up and let them fry and soak up all the deliciousness! 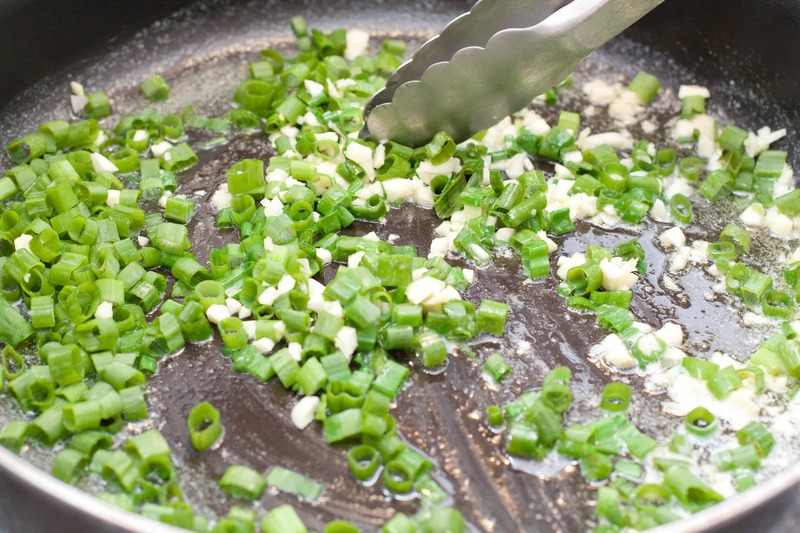 Top with some fresh scallions and add some of your favorite hot sauce, if you want, and you’re done! So much flavor. So much garlic! 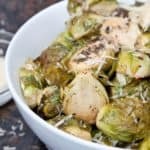 This made the perfect side dish to our Maple Soy Glazed Chicken Thighs! 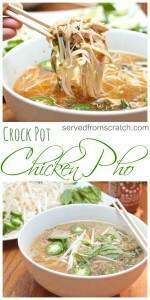 Although really, I would totally whip a batch of these noodles up for a quick lunch or a side for nearly any dish. 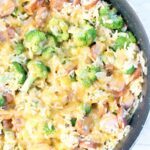 Just 15 minutes and 6 ingredients is all you need for this super easy, flavorful, rice noodle side dish! 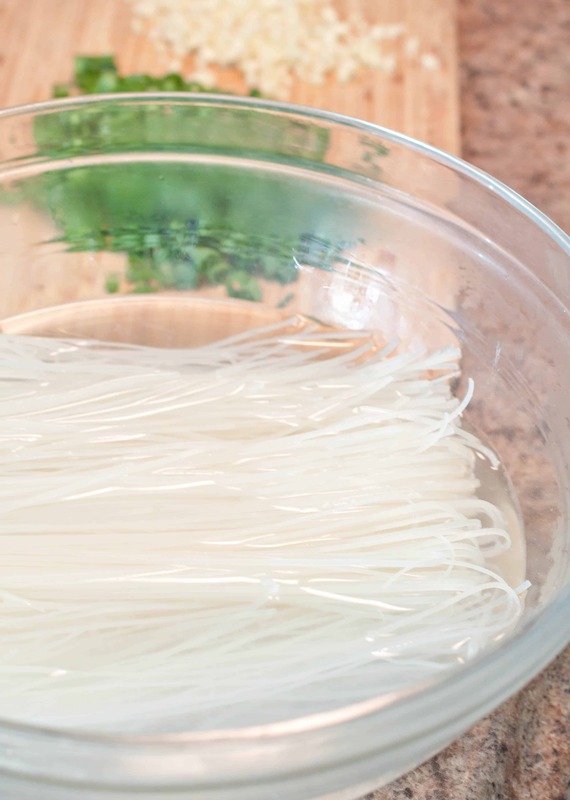 Soak rice noodles in almost boiling water for 4 minutes until al dente. Drain then rinse with cold water to stop cooking and set aside. Meanwhile, melt butter in a large skillet on medium to high heat. 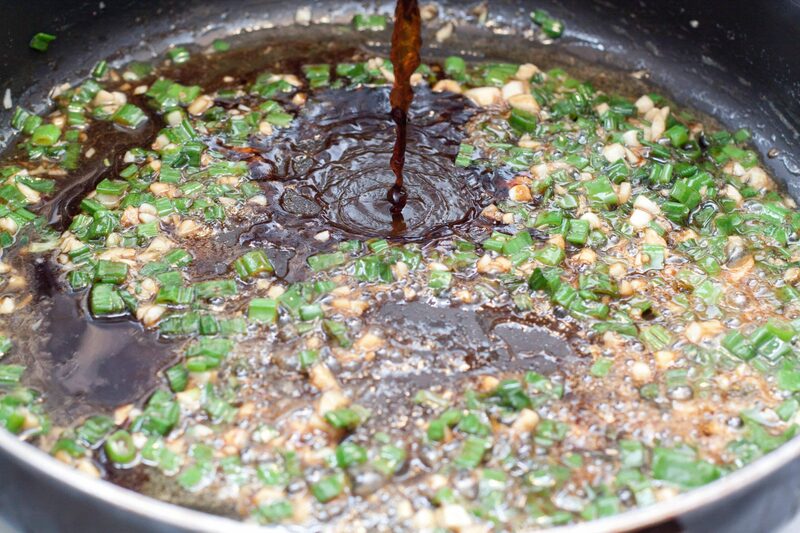 Add scallions and garlic and saute for 1-2 minutes until garlic is fragrant. Add coconut sugar and mix in until it's all incorporated. Add soy sauce and let simmer together for 1 minute. Add noodles and continue to cook for 5-7 minutes until noodles have fried and absorbed the sauce. Plate, garnish with additional scallions, and serve! This recipe reminds me of a unbelievably delicious dish I get at a Beverly Hills restaurant called Crustacean. I’ve got to try this! These look SO GOOD! I could totally eat an entire bowl of them. Also 15 minutes? Sold. Brilliant. So, so good and I’m intrigued by the coconut sugar. 15 minutes!! That’s like a dream for busy weeknights! Love the flavors Tracy!! 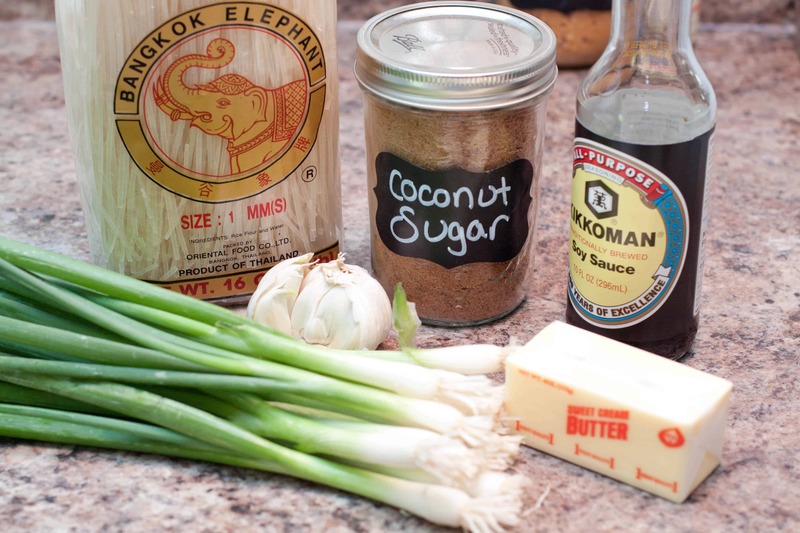 Can you substitute the coconut sugar with some other kind of sugar. I hate buying something a might not ever use again. 🙁 I really want to try this cause I love all the ingredients……..and it’s simple. Hi Kathy -You can definitely use regular sugar, no problem! Tracy, I made this (and your Maple Soy Glazed Chicken Thighs) yesterday. 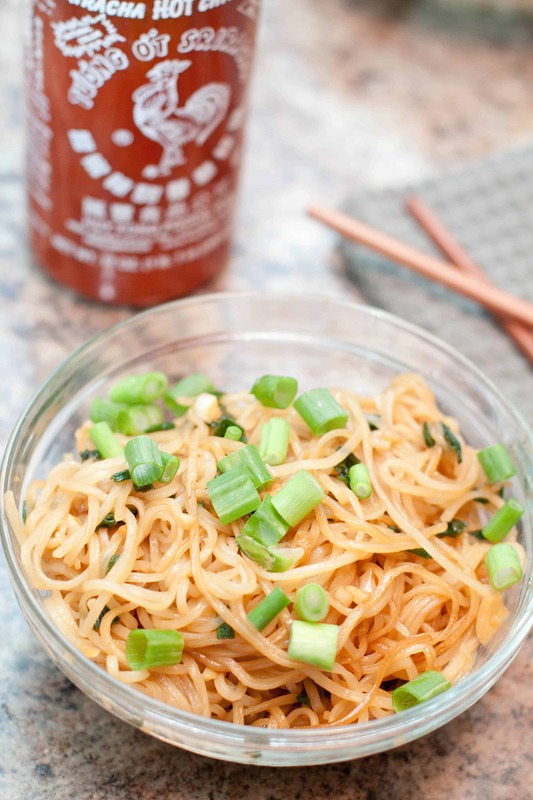 For the noodles, I replaced the coconut sugar with brown sugar. Both are very, very good. I’d like to add a little cabbage (or broccoli) in with the noodles some time (allowing for extra sauce if needed). I appreciate these recipes mostly because the ingredients are easily accessible. And thank you for answering my question about the sugar. Just made this tonight. I didn’t use any scallions and replaced with brown sugar. Was really good and so easy and fast. My grandson loved it and spot asking for more. Thanks for the recipe. just made this . probably need to go 6 – 8 minutes on noodles next time other than that awesome ! Oh my goodness! These look so delicious! And so simple too. My mouth is watering. This looks so yummy! I’ve never cooked with coconut sugar before. Does it taste like coconut? Or is it just sweet? You’ve read my mind! This is exactly what I’ve been craving. Thank you! YUM! 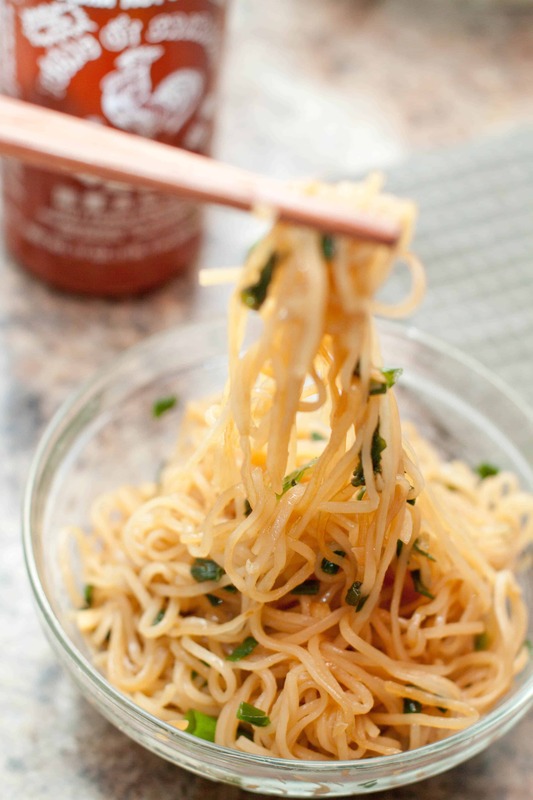 I would love these noodles — such a tasty combination of flavorful ingredients. And so easy! Thanks for sharing the recipe. 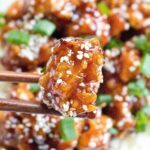 Looks very delicious and easy to make. Thank you!! I’m so glad you enjoyed it! 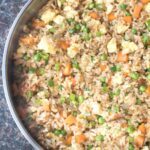 Pingback: Cheap Dinner Recipes for $5 or Less - More than 50 Ideas! I love fried noodles! This looks so simple and delicious! These garlic fried noodles look like the perfect addition to any asian meal. These noodles will be a huge hit at our house. Thanks for sharing. You had me at 15 minutes! 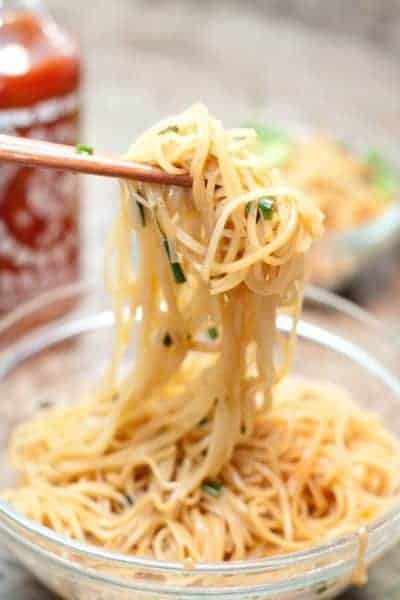 These noodles look so good! That must have been so delicious. I’m drooling here. Shared! It cannot get easier than this. Looks so yummy ! I tried this tonight & it was really good! I added mushrooms & carrots to this, along with a splash more of soy sauce while the noodles were sauteeing. It was really good!!! 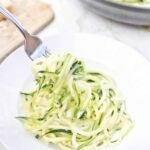 Was wondering if anyone knows the nutritional information for this recipe? 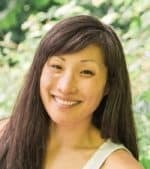 Hi Jen! What great additions!! So glad you enjoyed it, Mo! !